Traditionally, wedding rings for men were plain and designed to symbolise the eternal love and devotion they feel for their partner. 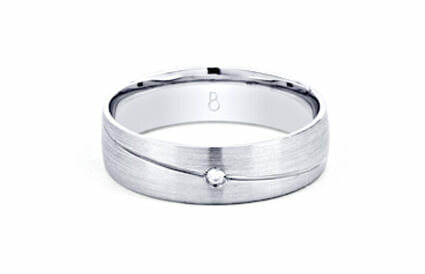 In recent years, it has become quite popular for men’s wedding rings to be set with gemstones, as a way to compliment and contrast their wife’s choice of wedding band. Here at Diamond Boutique, we offer a stunning range of his and hers diamond wedding rings for the perfect big day. Diamonds have incredible strength and durability, making them one of the best choices of gemstone to be set within a man’s wedding band. Shop the full collection today. Alternatively, we offer a custom design service. Contact us today on +44 (0) 203 6959 885 for more details.